Today, Porta Communications Plc announced that its 100% owned subsidiary, Redleaf Communications, has been fully integrated into its global strategic communications agency, Newgate Communications and will now operate under that brand. The agency operates in 16 offices across 7 countries offering consultancy in areas such as public affairs, digital, research, financial and professional services, community engagement, design and branding, consumer PR, global crisis communications and leadership communications. 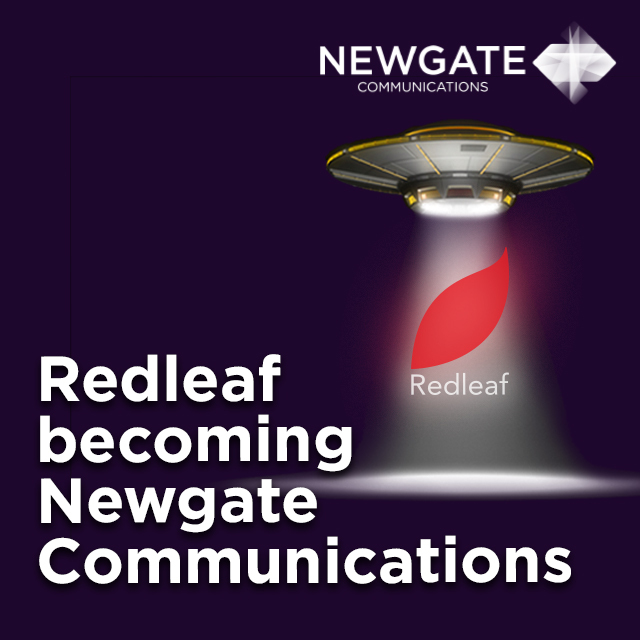 In the last year, Newgate and Redleaf have advised on some of the biggest business stories including the proposed restructure and CVA of House of Fraser, Stobart’s board dispute and subsequent court case, the leadership succession from the founders of Investec and intention to float the asset management business next year, advising Trustees of the GKN plc by Melrose, the British Steel Pension Scheme, Sapinda’s acquisition of La Perla and Patron Capital’s acquisition of Punch Taverns. “This is a very exciting milestone. Today we are formally bringing together two award-winning brands, two great teams, and two exceptional client bases to provide fully integrated and seamless communications under the Newgate Communications brand. “We now have 16 offices across 7 countries and a significantly expanded range of services delivered by a team of 235 motivated and talented people, passionate about being the best. Our focus going forwards will be on solving communications challenges with evidence, enthusiasm, creativity and integrity. Next Post Will impact investing remain a niche area?